Dr. John Burchfield specializes in advanced techniques in the diagnosis and management of glaucoma as well as cataract and other anterior segment surgeries. He is board-certified by the American Board of Ophthalmology and is a member of the American Glaucoma Society. I drive 70 miles (from Michigan) to continue to see Dr. Burchfield. There are plenty of “good” ophthalmologist s closet to home, but I want the best. Dr Burchyis the best! I would recommend him to anyone with eye issues. Down to earth and a pleasure to see. Knows what he's talking about. My BUCKEYE BUDDY is the best!! Dr Burchfield took care of my 91 yrs old mother who has Alzheimer, with such dignity and respect. And his staff was excellent as well. Long wait but very thorough! Dr. John Burchfield specializes in advanced techniques in the diagnosis and management of glaucoma as well as cataract and other anterior segment surgeries. 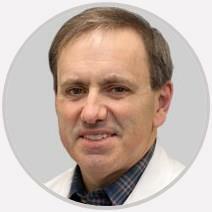 Dr. Burchfield is a graduate of the University of Cincinnati College of Medicine. He completed his ophthalmology residency at Northwestern University and went on to complete a two-year fellowship in Glaucoma at Washington University in St. Louis. He then served on the full-time faculty in the Department of Ophthalmology at the University of Rochester in Rochester, NY from 1995-2000 before returning to Toledo to join Vision Associates in 2001. He is board-certified by the American Board of Ophthalmology and is a member of the American Glaucoma Society.